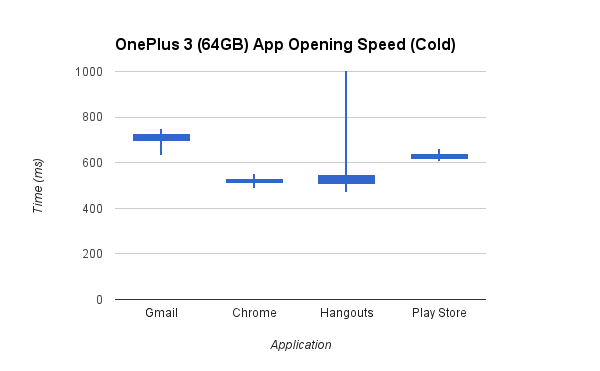 Among the improvements that OnePlus touted for its OnePlus 3T release, we were told that the company had managed to improve app opening speeds and general loading times, something especially noticeable on heavy applications such as 3D games. 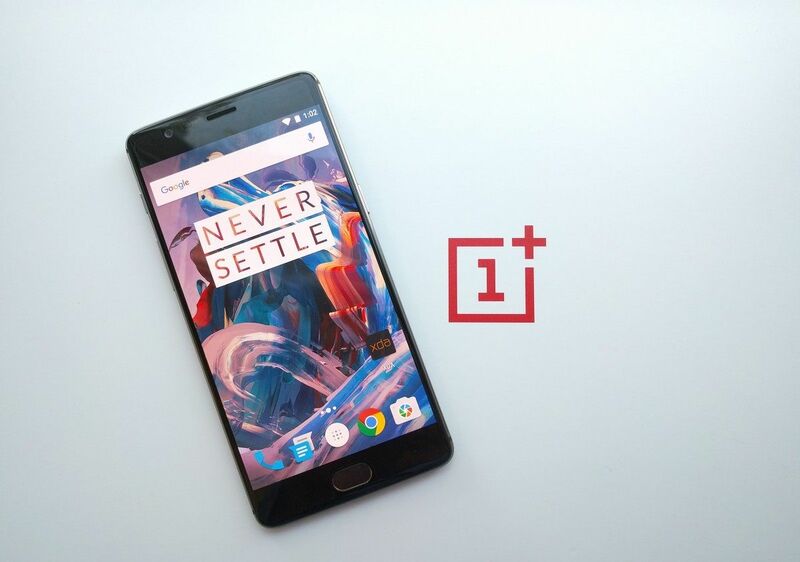 This struck us as a surprise, because the device ultimately packs the same kind of UFS 2.0 storage as the original OnePlus 3, and the Snapdragon 821 CPU’s minimal improvements are largely irrelevant for this usage scenario. 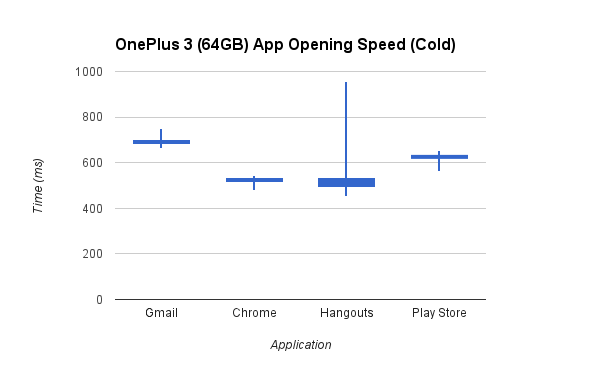 That being said, when we took the OnePlus 3T through our app opening speed test, we did find that the device has faster cold app opening speeds than its predecessor. Initially we were puzzled, but there was a key detail in the embargoed information that was also very quietly and quickly mentioned by Carl in the announcement video (timestamp): the file system had changed from EXT4 to F2FS, which is why there is a difference in app opening speeds. F2FS is a different file system that specifically takes advantage of flash storage like that of these phones, and as such it makes sense to incorporate it with the OnePlus 3 and 3T’s already-excellent UFS 2.0 storage solution as well. The storage is the same and the processor bump is minimal, but this file system change alone was enough to bring serious improvements to real-world performance in the form of slightly-faster opening speeds for everyday apps, and dramatic improvements to loading heavy games such as Asphalt 8, as shown above. Given I was able to spot this ahead of release, I wrote an article explaining some of the changes that were coming to the OnePlus 3 and also mentioned in the full review that F2FS was coming to the OnePlus 3 in the near future. Moreover, I was informed by OnePlus that the community builds of the OnePlus 3 already supported F2FS, carrying over some of these improvements (in the review, we compared the OnePlus 3T to its predecessors’ latest stable firmware build at the time, OxygenOS 3.2.6). 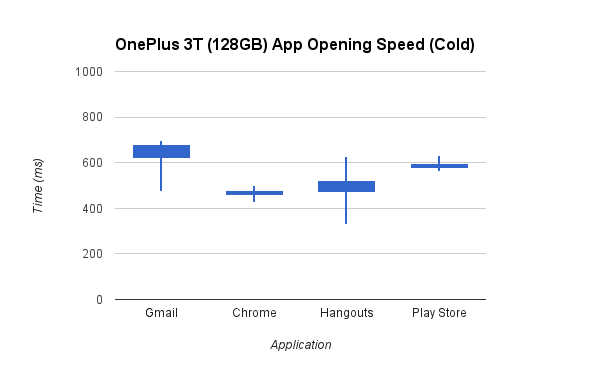 Earlier this week, AnandTech published an excellent review of the OnePlus 3T where they listed the storage speed improvements that this new unit brings over its predecessor. Their results were entirely accurate and showed a rather massive delta in some aspects, and I have been able to replicate them almost to a T (well, in the same ballpark, but I needed that pun) — however, a key detail was left out that led some users to make incorrect claims regarding which version of the OnePlus 3T is the better option. To be specific, it’s incorrect to say that the 128GB OnePlus 3T will bring better real-world performance due to the extremely good storage speed results shown in the review. That is because those results don’t account for the change to F2FS for the file system, which wasn’t originally mentioned as the main cause in the NAND section of the review; while the argument that more storage in SSDs generally increases performance is correct (unless higher-capacity dies are used instead of parallel chips, which could be the case), we found that the difference in storage speed as measured by AndroBench seems to come from the change in file system alone, and not the storage amount. To confirm this, we ran a few tests on both a 128GB and 64GB OnePlus 3T, starting with the same app-opening speed test in parallel. This time around, we found that the 64GB OnePlus 3T performed nearly exactly the same as the 128GB OnePlus 3T under the same starting conditions (after a clean set up, no restored apps, minimal background processes, 100MBps internet), using Discomark to get 20 runs per app per sample (allowing no background processes and not keeping activities, to emulate cold launches). The small differences in variance could be attributed to the different Google accounts on the device (I don’t own both devices), but both were not actively syncing and in general the result is the same as shown by the similarity of interquartile ranges. 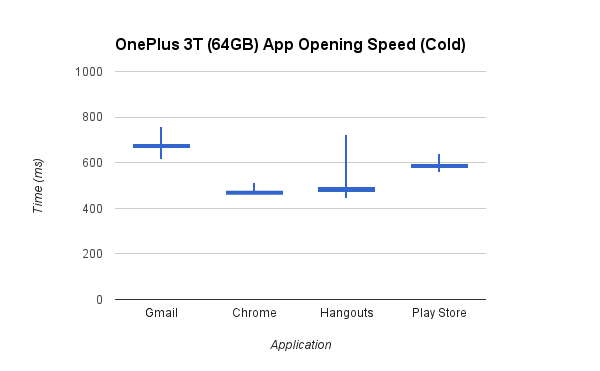 We further tested game loading speed: in our OnePlus 3T review, we showed a video that compared the 3 and 3T loading Asphalt 8, with the 3T having a clear, multiple second long advantage. The 64GB and 128GB OnePlus 3T both load the game at around the same 10 second mark on average, with the random variance putting them mere milliseconds apart. 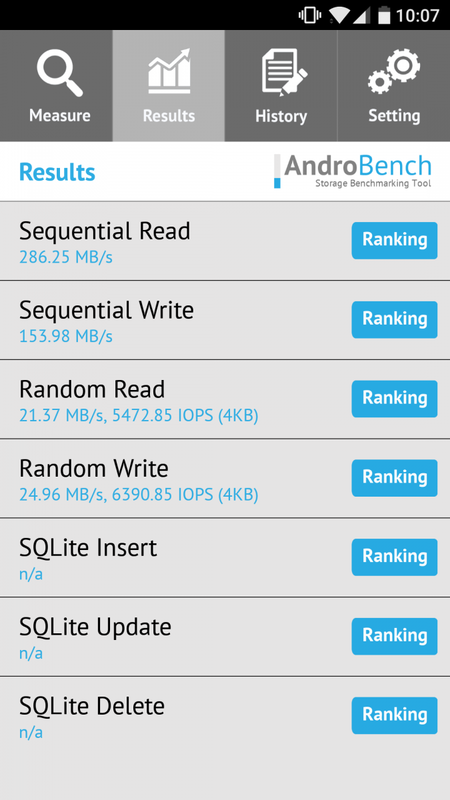 When we compare AndroBench results on both the 64GB and 128GB variants, we also see very similar scores on both the default settings and on AnandTech’s settings as well (one thread, buffer size set to 256KB for sequential and 4KB for random), the latter being a more accurate prediction of performance under real-world scenarios. Overall, there seems to be no practical difference in the storage speed of the 64GB and 128GB variants, even when we would also had expected such a difference to manifest itself as we presumed there would be additional NAND chips. (Do keep in mind this test has relatively high variance, the difference in the screenshots shown does not necessarily mean one is invariably better even if by little). What’s more interesting is what we get when we put the OnePlus 3 on F2FS through these tests too, as we found the same results. As we mentioned earlier, the community builds on the OnePlus 3 support F2FS storage. We first ran the benchmarks on Oxygen 3.2.6 again to confirm that the difference was indeed as clear as what AnandTech has shown, and we obtained the same results on both settings. After that, we loaded up the Open Beta 7 and made sure that it was properly formatted into F2FS by verifying /data. Running the tests on the 64GB OnePlus 3 with an F2FS file system gave us about the same results as the 128GB OnePlus 3T on both the default AndroBench settings and the more-accurate ones. 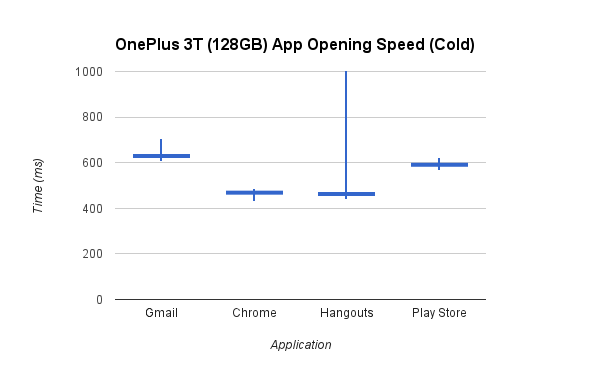 Furthermore, we found app opening speeds to be similar as well. 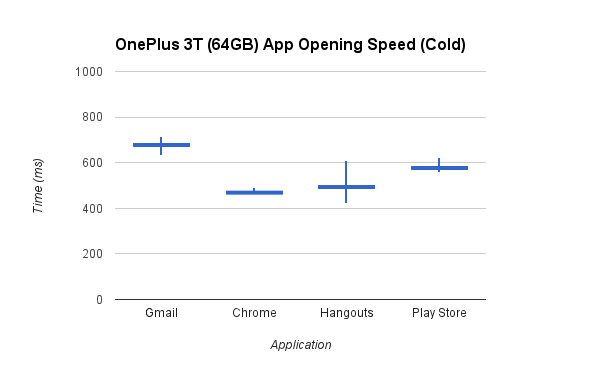 And the most telling clue comes from that Asphalt 8 loading speed test, as while the original test had the OnePlus 3 trailing several seconds behind, we see that it now keeps up and loads at around the same time. So what does this all mean? The improvements in real-world performance of the OnePlus 3T came largely due to F2FS, which will most certainly arrive to the OnePlus 3 officially with Nougat (beta available today!). OnePlus users are not strangers to F2FS, in fact this was a common mod for the OnePlus One for the same reasons. While you are free to format your storage into F2FS through a custom recovery, I’d recommend you wait until the update to hit your OnePlus 3 officially, or to try the Nougat beta. The improvements can be substantial, particularly as we demonstrated with heavy applications and 3D games, but for the most part the OnePlus 3 does an excellent job already. OnePlus 3 owners definitely have a lot to look forward to with the Nougat update, as F2FS alone will likely ensure a faster phone for them in specific areas of the UX. 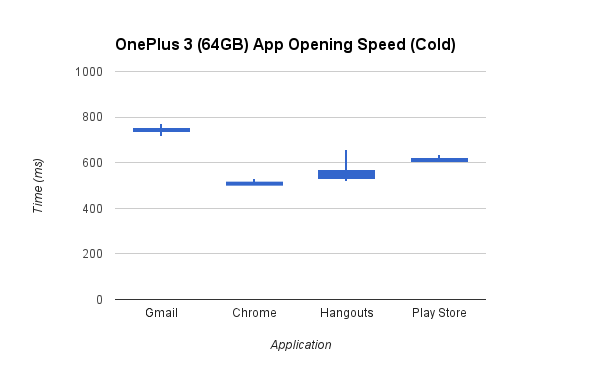 OnePlus 3T owners shouldn’t have expected a boost in app opening speed from the Snapdragon 821 alone (but that’s a misconception for another day), and truth be told you are likely not going to miss out on much speed or fluidity by underclocking the performance cluster back to the good old 2.15GHz of the regular OnePlus 3 and Snapdragon 820. In fact, this would probably make the OnePlus 3T’s bigger battery shine even brighter, and I am sure developers will implement intelligent changes to the kernel and offer useful governors so that users can enjoy fast performance and excellent battery life below that 2.35GHz peak. To summarize, the OnePlus 3 and the OnePlus 3T will behave largely the same under F2FS, which is likely coming to the OnePlus 3 with the official Nougat update. 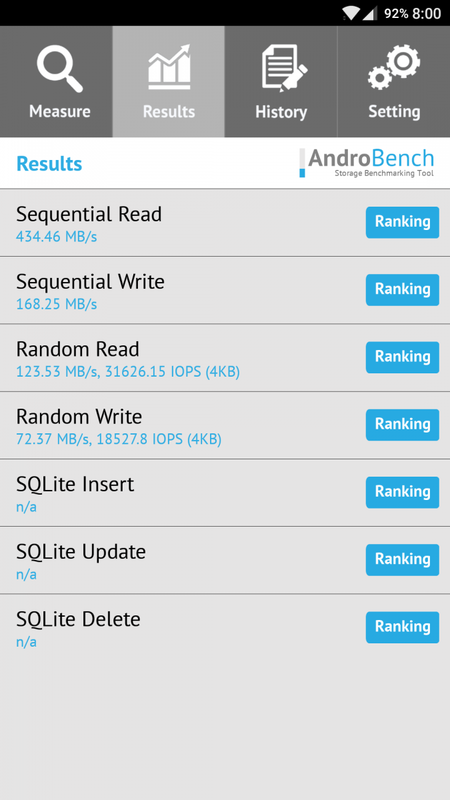 The difference in storage speeds as measured by AndroBench does not look to be a product of extra NAND chips in the 128GB variant, but rather the changes made to the underlying file system. This is most definitely a good thing for both OnePlus 3 owners and OnePlus 3T owners, who really don’t have to worry much about a gimped user experience by preferring to opt for less storage. At the end of the day, both phones are very snappy even with the reported (and frankly overblown) issues with touch latency.